Here is the archive sequence. The opening sequence to This Is England sets the backdrop for the radicalism of the National Front and a splintered subset of skins. On display: the women of Greenham Common, the Iranian Embassy Siege, the nationwide miner’s strike, a bolstered Thatcher and Reagan and of course, Roland Rat. 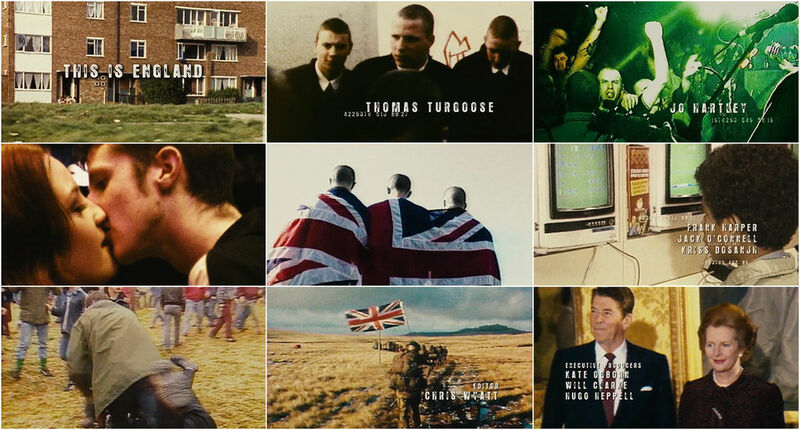 Director Shane Meadows: When the actor’s names come up we decided to put these rolling numbers; the whole font idea was meant to be…like a British soldier’s dog tag. So those numbers rolling ‘round are meant to echo the numbers of soldier’s dog tags who’ve died because…[SPOILER] the lead character’s father has passed away [in the Falklands Conflict]. Producer Mark Herbert: One of the things about this archive [opening sequence]…[were] the amount of tapes you had to sift through in the edit. 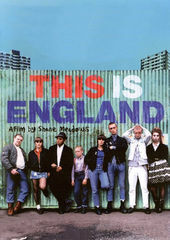 Shane Meadows: It was a joy to be honest, looking at this footage from the 80’s…some of it was local news…a range of things of the time…like this…you don’t see people on the streets anymore whereas back in the 80’s, everyone, it seemed, from women to miners to the riots in Birmingham, everyone seemed to be out saying what they thought.